Here at EverArmour Coatings we stand by our product with a lifetime warranty. Our product is tough, Maritime-tested and ready to protect whatever you’re spraying it on. We spray bed liners for any make or model. Ford F-150, Chevrolet Silverado, Dodge Ram, Toyota Tundra, Toyota Tacoma, Honda Ridgeline. We do them all. We can also spray our coating on just about any surface: Cargo van floors, Rims, Bumpers, Wheel wells, ATV parts, Bus steps, Motorcycle parts, and the list goes on! We spray all makes and models: Ford F-150, Chevrolet Silverado, Ram, Toyota Tundra, Toyota Tacoma, anything with a box. Give us some information about your truck and we'll get back to you with a quote in just a few minutes. We spray all makes and models: Ford F-150, Chevrolet Silverado, Ram, Toyota Tundra, Toyota Tacoma, anything with a box. All we need from you is a little bit of info (year, make, model, box length) and we can back to you with a quote in just a few minutes. 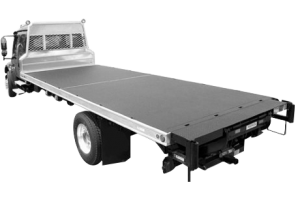 We also do custom work (trailer floors, bus steps, rims, ATV parts, push bars, etc). We’ll need a bit more info to give you an accurate quote. You can find our custom quote form to the right of this box. Our protective coating will stick to just about anything. We can spray trailer floors, van floors, rims, ATV parts, push bars, and just about anything you want protected from the elements. Let us know a bit more about what you'd like us to coat and we'll be in touch as soon as possible. Our protective coating will stick to just about anything. We can spray trailer floors, van floors, rims, ATV parts, push bars, and just about anything you want protected from the elements. Let us know a bit more about what you’d like us to coat and we’ll be in touch as soon as possible. We also do spray-on bed liners for all makes and models (Ford, Chevrolet, Dodge, Ram, Toyota, Honda). 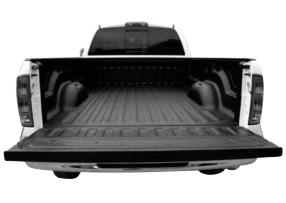 You can find more information about bed liners in the left box. Do You Have A Question About Our Product or Have Something You’d Like Coated?